As the weather turns colder and we head into winter, it’s that time of year when Plymouth rats and mice will be looking to head inside. They don’t want to be outside battling the elements in the wind and rain with freezing cold temperatures. They want a warm and cosy place to shelter and build their nests. This is not good news for homeowners that don’t want to share their home with these nuisance pests. But what can you do about it? how can you prevent them entering your home and how can you get rid of them if they do? In the first instance let’s look at prevention. These Plymouth rats and mice have to be able to get into your property. Now they may go for an outbuilding like a shed or a garage – not good if you keep things like garden furniture, camping equipment or electrical tools there as they like to chew. they don’t have a preference what they chew, they will chew anything. So have a look at the doors, windows, other accessories points and see if there are any cracks that a rodent could sneak through. Don’t forget these wylie creatures can squeeze themselves through the smallest of gaps so don’t ignore even the slight cracks. Fill up the cracks, block up the holes and make sure that it is impossible for these creatures to get through. Of course, there may be hidden access points under the foundations that you can’t see so make sure you check your outbuildings during the winter for any sign of unwanted visitors. In the unfortunate event that you do find yourself sharing your home with a rodent then there are steps you can take. Call a proper licensed Plymouth pest control company who will come and assess the problem., Don’t try and tackle it yourself. You don’t know how many pests you have in the house, how they are getting in and what to do get rid of them safely and effectively. Buying off the shelf rat poisons is not a good idea especially if you have pets and children. Professional Plymouth pest controllers know what they are doing and know what to look for. they will be bale to deal with the problem and help to prevent it re-occurring. If you aren’t squeamish about rats and mice and don’t see that they are doing any harm running around your cavity walls or up in the loft then think again. In addition to the diseases that they are carrying around the house, they are also dangerous. they can chew through electrical cables which can cause fires. It is important to get rid of them before they breed and multiply in numbers. One rat or mice may not seem so much of a problem but a dozen or so will! 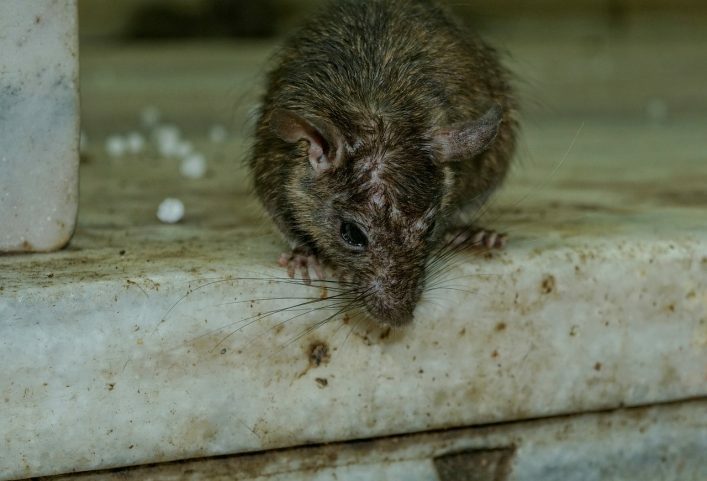 At Falcon Pest Control Services we are licensed to deal with the effective removal of rats and mice and have much experience in dealing with these pests. Give us a call on 01752 929292 and we will be happy to come out and advise you as to the best way to tackle the problem.